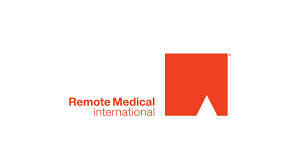 At Remote Medical International® (RMI), we offer premium medical services to companies across a wide range of industries operating in remote or challenging locations in the US and abroad. Our team works on a variety of multinational cooperative projects, providing high-quality clinical care in remote environments. Our global team of exceptional medical providers use their skills and expertise to implement leading health and safety initiatives, incorporate preventative health measures, oversee medical evacuations, and practice primary and emergency care. These assignments will provide acute and primary care in independent clinic settings located in remote and austere environments. Due to the multinational nature of such projects, we are seeking candidates that have a fluent command of the Arabic and English languages. Successful candidates are also team players, work well in a diverse and multicultural environment, and exhibit a demonstrated history of self-improvement. Are you a confident clinician with exceptional medical and rescue skills? You may be a great fit at RMI. Apply today!